Most non-permanent markers use inks that are made of mixtures of colored pigments and water. How does Black Magic work? 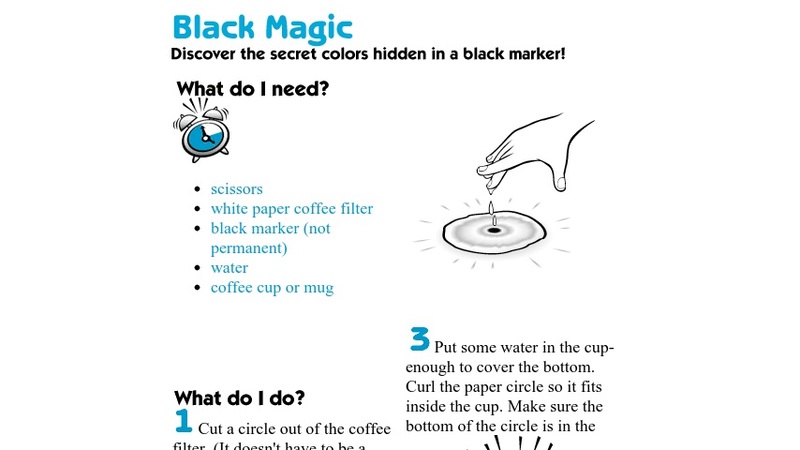 Why do some black inks separate into many colors on a wet coffee filter? Why does mixing many colors of ink make black?